We need helpers for fund raising events and other events we host! We appreciate anything and everything that you are able to help us with! Please click on the link below for a full list of volunteer opportunities at the Amherst Youth Foundation. Click below to download our form! Participate in the Ink Cartridge and Cell Phone Recycling Program! Call us to arrange a drop off or pickup of cartridges if you like. Make a Donation of Funds or become a Gym Sponsor! 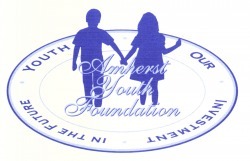 The Amherst Youth Foundation would not be possible without the generosity of our supporters in both time and funds.